Stow Maries Great War Aerodrome is a unique place, with a unique history. Its story covers 100 years of life comprising feverish excitement interspersed with periods of calm and tranquillity. The aerodrome lies to the east of Chelmsford and west of Maldon, Essex, within an area of gently-rolling farmland. It is the largest known surviving group of RFC buildings on a WWI aerodrome which was not adapted for further military use later in its history. When considered with its growing collection of objects directly related to the site and its activities, a truly unique resource is evident. Originally opened in 1916 as home to B Flight of No 37(HD) Squadron, Royal Flying Corps, the aerodrome saw the birth of the Air Defence of Great Britain in response to the first raids by Zeppelins and Gotha bombers on London and the South East. It played a key role in the Battle for Britain (the first London Blitz) the following year. It was at Stow Maries that No 37 Squadron transitioned from the Royal Flying Corps to the Royal Air Force on 1 April 1918. 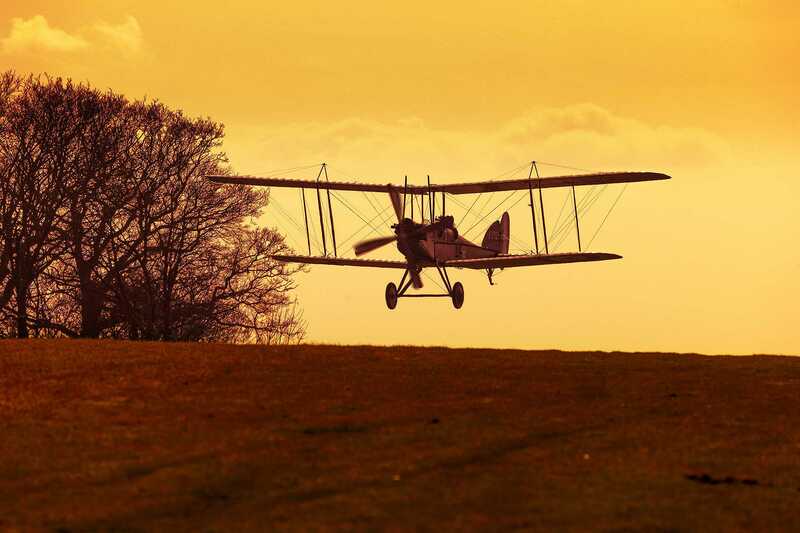 It continued in its dedicated role until Spring 1919 – when the RAF closed its doors forever. To learn more about RFC Stow Maries, why not get in touch and book a visit?